Enter to win some Loreal EverPure haircare products from Beautezine! 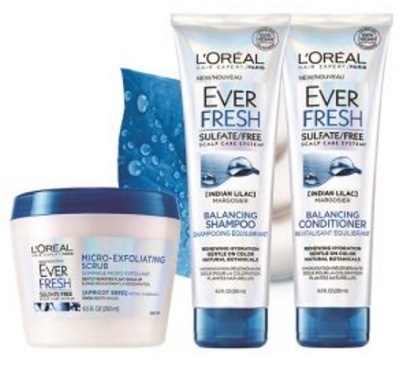 10 lucky readers will get a chance to try the new range including L’Oréal Paris EverFresh Balancing Shampoo, L’Oréal Paris EverFresh Balancing Conditioner and L’Oréal Paris EverFresh Micro-Exfoliating Scrub Rinse-Out Hair Treatment. Contest closes April 10 2017.